Zermatt Utah Resort & Spa Trademark Collection by Wyndham sits at the base of the Wasatch Mountain Range, within a 30-minute free shuttle ride of Deer Valley, Canyons, and Park City Mountain ski resorts. The Heber Valley Historic Railroad is a 10-minute drive away, and runs year-round to Provo Canyon. 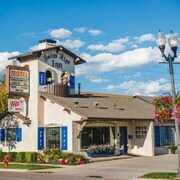 Nestled in the Wasatch Mountains, the Best Western Plus Landmark Inn is 1 mile from Utah Olympic Park and 3 miles from Canyons Ski Resort. 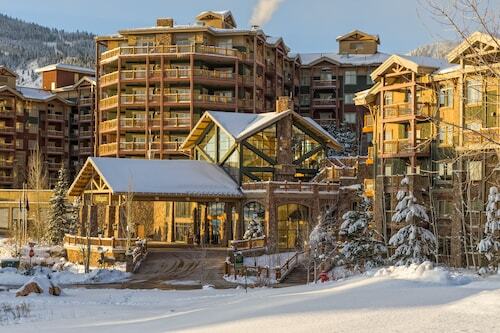 Located near the slopes, this Deer Valley condo building is in the mountains, 2.2 mi (3.6 km) from Main Street and close to winter activities such as cross-country skiing and skiing lessons. Egyptian Theatre and Park City Museum are also within 3 mi (5 km). 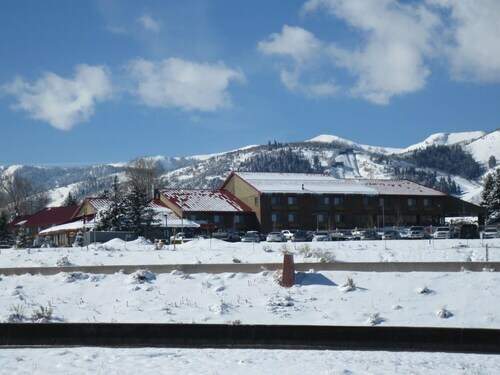 Conveniently located near the ski slopes, this Park City hotel is in the city center, within 2 mi (3 km) of Canyons Resort and Red Pine Adventures, and close to winter sports such as cross-country skiing. Redstone and Tanger Outlet Center are also within 3 mi (5 km). 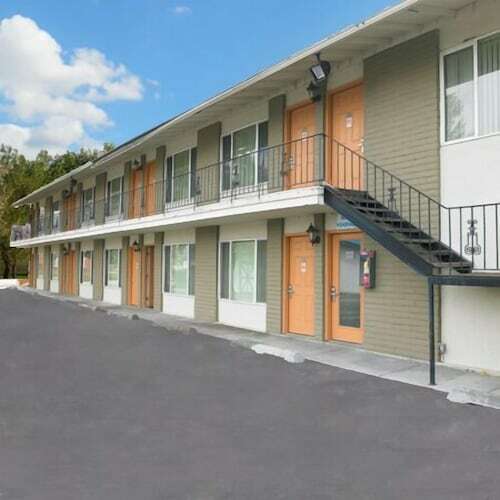 Situated in Heber City, this motel is within a 10-minute walk of Avon Theatre and Ideal Theatre. Heber Valley Railroad and Southfield Park are also within 1 mi (2 km). 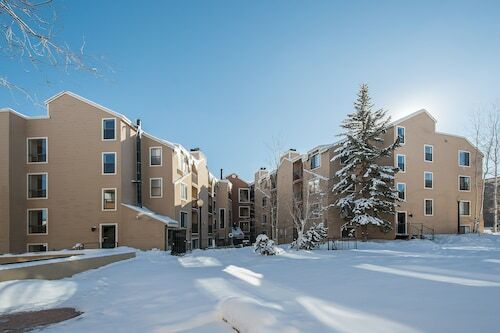 Located near the slopes, this North Park City condo building is in the mountains and within 1 mi (2 km) of Prospector Square, Park City Mountain Resort, and Main Street. Deer Valley Resort is 2.8 mi (4.5 km) away. 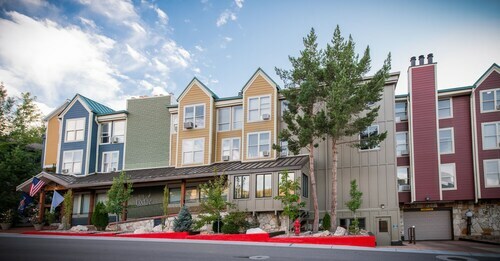 Located in North Park City, this aparthotel is within a 10-minute walk of Park City Mountain Resort and Main Street. Deer Valley Resort is 1.9 mi (3.1 km) away. 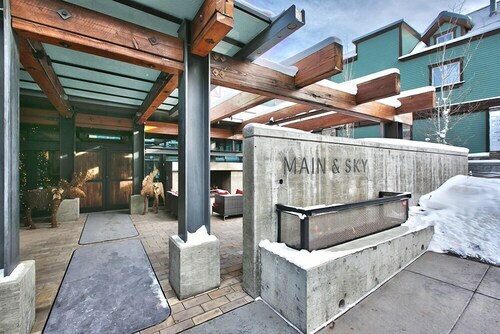 Located in Downtown Park City, this luxury resort is steps from Kimball Art Center and Main Street. Park City Mountain Resort and Deer Valley Resort are also within 2 mi (3 km). Nestled mid-mountain at the Deer Valley Resort, Stein Eriksen Lodge provides ski-in/ski-out access to immaculately groomed trails; the chairlift to Upper Deer Valley is 75 feet away. 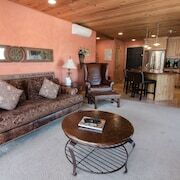 Located in the mountains, this slopeside resort offers ski-in/ski-out access in Deer Valley within 2 mi (3 km) of Deer Valley Resort and Main Street and close to winter sports such as cross-country skiing and snowshoeing. Park City Mountain Resort is 2.2 mi (3.6 km) away. 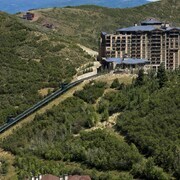 Westgate Park City Resort & Spa offers ski-in, ski-out convenience at one of the largest winter sports venues in the USA. The buzz of Main Street in Historic Park City is a 10-minute drive, and nearby Deer Valley Resort is great for summer mountain biking. How Much is a Hotel Room in Park City? 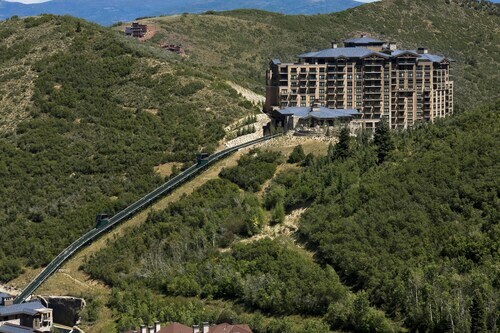 Hotels in Park City start at $60 per night. Prices and availability subject to change. Additional terms may apply. Park City, Utah, has long been a world-class skiing destination, and since the 2002 Winter Olympics, it has grown into a year-round playground. When you reserve Park City hotel deals, or resorts, you're set for an outdoor adventure--and so much more. With great restaurants and entertainment, you'll never run out of things to do. Park City flights land at Salt Lake City Airport, just 45 minutes away from cheap hotels in Park City that are convenient to the entire area, if you want to explore more. Outdoor lovers will find themselves surrounded by the wonders of the Wasatch Mountains. From incredible downhill skiing and snowboarding to cross-country, all the winter sports are there, and feature that famous Utah powder. Summer is just as thrilling, with hiking, biking, kayaking, fishing, and more. Drive the Guardsman Scenic Byway for fantastic scenery or ride the Alpine Coaster. Find the best Park City hotels and be near Utah Olympic Park, where you can even watch ski jumpers practice in the summer, landing in a big pool. The wide range of eateries in town make it easy to find a great meal, and they are mostly located near downtown. Hotels in downtown Park City are close to the Main Street Historic District, which has the feel of an Old West mining town with great restaurants thrown into the mix. Explore the rest of town and find even more choices, like fine dining options you'd expect to see in much bigger cities. 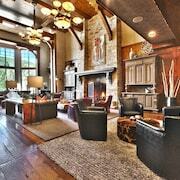 You can chow munch on great pub grub and craft brews in saloons or savor your favorite cocktail in an apres ski setting. Don't forget about the coffee houses, ready to give you an incredible cup on your way to the slopes. Book ski resorts and hotels in Park City on Travelocity, and remember you can get mobile exclusive deals on the Travelocity app.